Benchwarmers Sports Pub is located on Maine Street in Brunswick, near both Bowdoin College and the train station. We keep it simple by offering great tasting American pub food – pizza, wings, hamburgers, specialty cocktails, and cold beer. 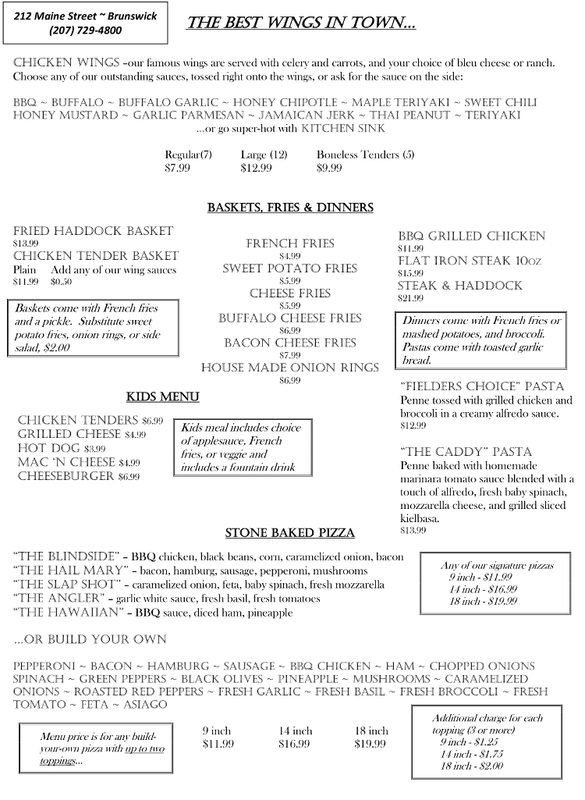 Bring your children for a bite to eat after practice; watch a game on one of our 9 televisions; or come for an evening of food, fun, and friends in our relaxed pub atmosphere. © Copyright 2019 | Bath, Brunswick, Topsham, Harpswell Restuarants Maine | All Rights Reserved.